Before proceeding to Sub domains, let us revise what domain names are. In simple words, Domain name is an identification string that defines a realm of administrative autonomy, authority, or control on the Internet. In simple words, it is the name of the website. It is difficult for a user to memorize the numeric values (IP) for accessing a website like 174.12.14.10 so we give it an English name which is easy to memorize like catchupdates.com or google.com. Here both catchupdates.com and google.com are domain names. Domain names are formed by the rules and procedures of the Domain Name System (DNS). Now come to our topic. A subdomain, is sometimes called a “third-level” domain.It is a great way to create a memorable web address for a section of your web site. Your domain is a folder that contains your site files; a subdirectory is a folder contained within this main folder (such as http://www.yourdomain.com/subdirectory1). A subdomain, on the other hand, is basically an alias, another address that can be created for one of your subdirectories. An Internet user can enter the subdomain in his browser’s address bar to view the subdirectory with which its associated. A subdomain combines a unique identifier with a domain name to become essentially a “domain within a domain.” The unique identifier simply replaces the www in the web address. Let us relate it with a common example. You all uses gmail.com , what is it?? It is the subdomain of the google.com. When you access gmail, just see its url(address) in the address bar. It will be redirected to mail.google.com. 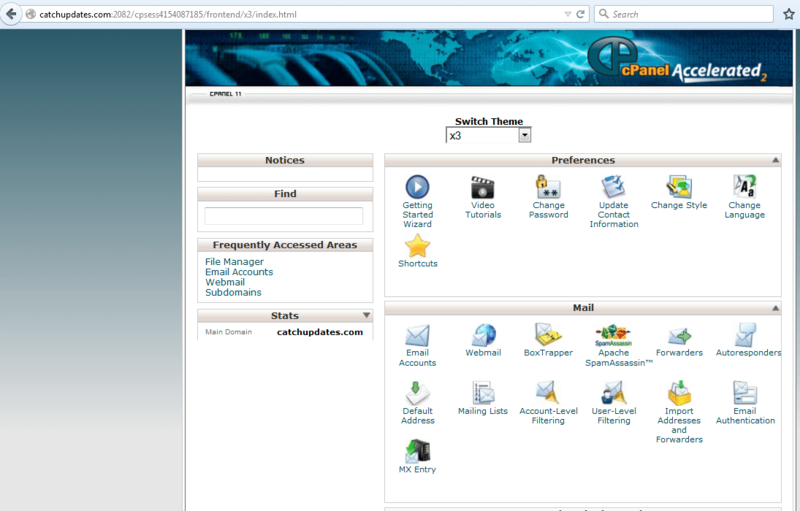 Open the cPanel what you have been provided. After entering the password you will be redirected to home page. Click on the Subdomains option under Domain category. 5. Enter the name of subdomain that you want to create in the text box. Note that the root domain will automatically be fetched there as in this case catchupdates.com is being shown their automatically separated with full stop(.). 6. Leave the Document root blank. 7. Click on the Create button to create the sub domain. You can create a number of sub domains using these same steps.